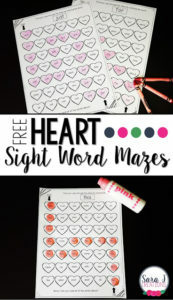 Practice addition pairs that make ten with this heart themed freebie! Have students find matching parts of the heart that add up to ten and then set them down on the mat. Easy practice with a theme perfect for February and Valentine’s Day.